For Americans, the stretch between Thanksgiving and New Year's Day is supercharged with giving and getting. 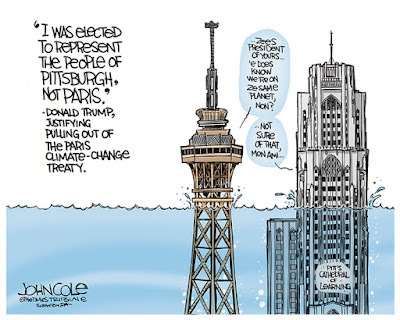 It's no different for us Americans living in France. But lest we forget, the year-end also brings the close to the dreaded tax year. Faced with huge French tax bills, I asked my financial adviser friend out to lunch. What do we do? I asked, hoping she would make our bills disappear. She didn't have an easy out. Instead, she talked “tax strategy”: Sock it away, and give it away. Or, we could just pay the tax bill. So we made an appointment at our bank. This was no fun at all. Our bank took a 3% fee for taking our money, and offered very little in the way of return. Plus, our money was locked up until retirement day. For our bank, it is much better to receive than to give. However, we had a lot of fun giving it away. One charity we picked that is close to my heart as a journalist is Reporters Sans Frontières (RSF or Reporters Without Borders), which promotes and defends freedom of information and freedom of the press, and helps journalists working in dangerous areas. For example, RSF is currently campaigning to free from prison Can Dündar, the editor of the Turkish daily newspaper Cumhuriyet. That's because the newspaper reported in May that Turkey's secret service was delivering arms to Islamic groups in Syria. Turkey has accused Dündar of espionage and terrorism. I was happy to double my donation through my company's matching gift program, as part of their Giving Tuesday campaign. If you haven't heard of it, Giving Tuesday is the annual drive after Black Friday and Cyber Monday. Which is right after Thanksgiving Thursday. Death. Taxes. Matching Gifts. Giving Tuesday. There are so many reasons to give, whether it's from the bottom of your heart, or the bottom line of your tax bill. 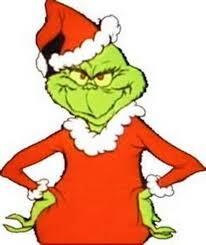 I'm one-half Grinch, so I need all the reasons I can get. I mean give.